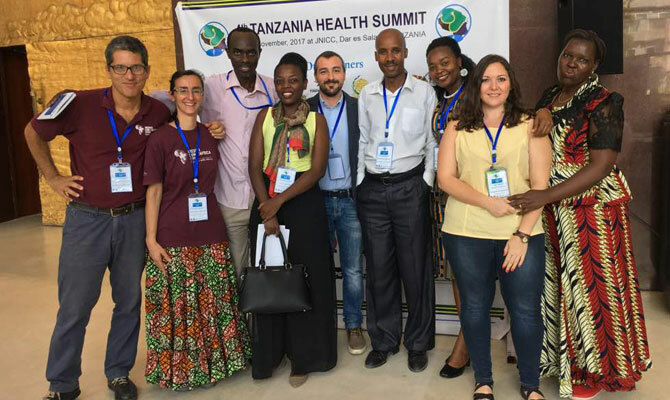 The fourth Tanzania Health Summit, the most important health meeting in the country, took place in Dar Es Salaam on November 14 and 15. Doctors with Africa CUAMM was invited to present the results of its work supporting maternal and child health and fighting HIV, malnutrition, and chronic diseases. The summit’s objective is to consider and understand innovations needed to achieve health coverage that is universal and high quality. Tanzania’s health system is currently in a paradoxical situation: it has become easier for its people to access services, but those services are not always adequate in terms of quality. There are major disparities, for instance, between its different areas, which is why CUAMM is focusing on the less advantaged regions. CUAMM’s representatives at the summit in Dar Es Salaam explained our current interventions in Tanzania, thanks in part to the contributions of major donors, including Gilead, CIFF, and UNICEF. They then illustrated the positive results for mothers and children, who CUAMM has been supporting for five years at the Tosamaganga hospital. They then talked about “test and treat,” a major project against HIV that gives free tests to affected communities, and a pilot study in Tosamaganga on non-communicable diseases, such a diabetes and hypertension, taking an increasing toll in Africa because of changing lifestyles. Malnutrition is still a major challenge, for which CUAMM has implemented prevention measures in the communities, promoting adequate, sustainable eating habits and providing medical responses in facilities for severe cases. Capuzzo concluded, “CUAMM’s efforts have been recognized and appreciated nationally, both by authorities and other partners, which, of course, spurs us to keep on doing more and better”.